For many marketers, loyalty program acquisition is key to generating more revenue and achieving a higher Return on Investment (ROI). Yet brands often use the same tactics over and over to try to draw attention to their programs. Its crucial that marketers use multiple channels to promote their programs and acquire new loyalty customers. 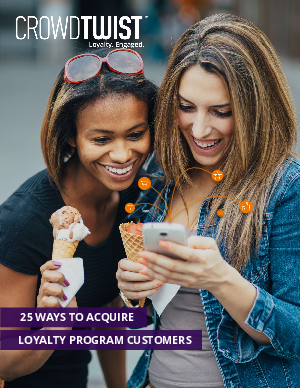 This e-book offers 25 strategies brands can leverage to make consumers take a second look at their loyalty offering.